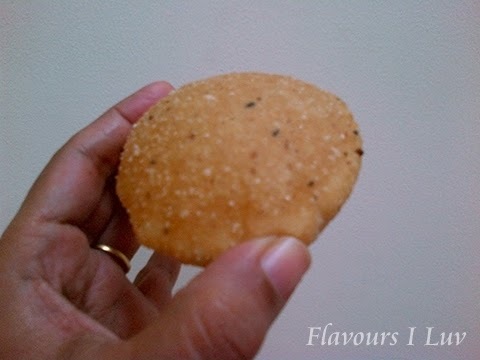 Deep fried rice roti ( Neypathal ) is one of the favourite traditional recipe of Malabar Muslims. This is one of the main items for iftar during ramadan. I mostly made this for dinner along with its combination currys pepper chicken, mutton korma, Prawns masala etc.... 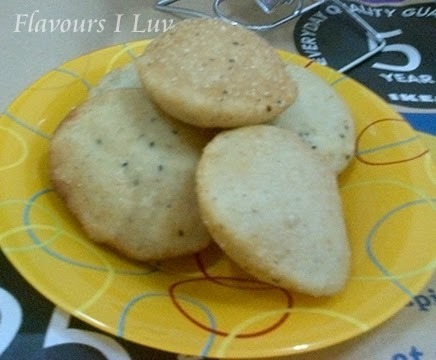 I made this by grinding soaked parboiled rice, instead of grinding rice we can make this with rice powder also. Take equal quantity of water and rice powder, boil the water and add rice powder into it. Mix well and off the flame, then add paste of coconut and cumin. 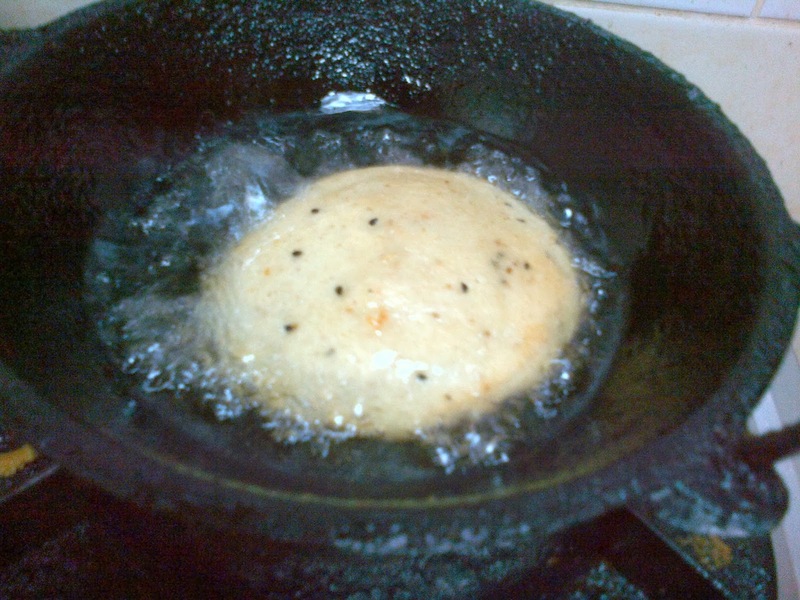 Pathal/Pathiri is normally roasted in a tawa / griddle, but Neypathal / Ney pathiri, as the name indicates, is fried in oil. If anybody hasn't tasted it yet, I would strongly recommend to try this one at least once. Yes it is that yummy ! Wash and soak the rice 4-5 hours. Grind it in a wet grinder with little water until to get a coarse mixture. Add grated coconut, shallots, fennel seeds and salt into it while grinding. Do not need to grind it smooth. When you touch the ground rice, it should be really grainy. After grinding, take this out into a clean cloth. Hang it for sometime, if there is excess water. If you can grind the rice using minimum amount of water that would be the best. 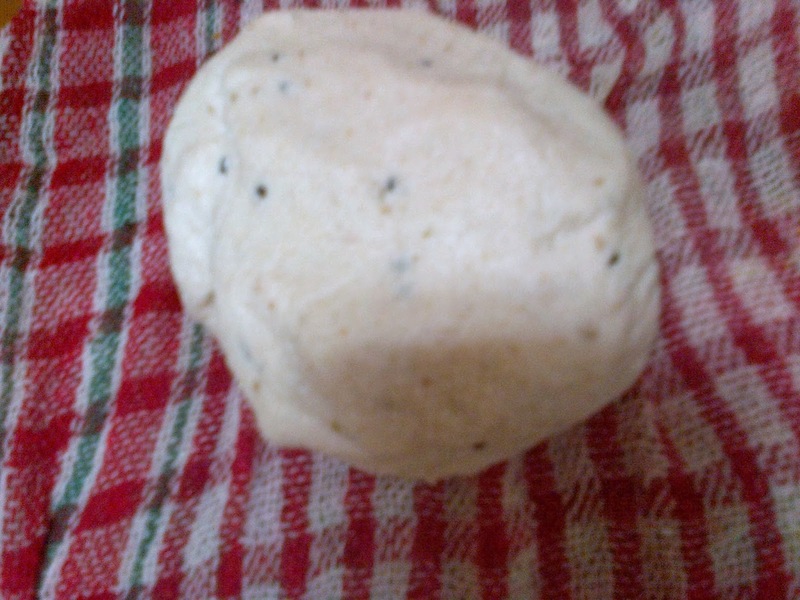 After removing excess water add black cumin seeds into it and knead it to make a smooth dough. Take a big lemon size ball and flatten it using your fingers by placing it on a cloth or plastic sheet. 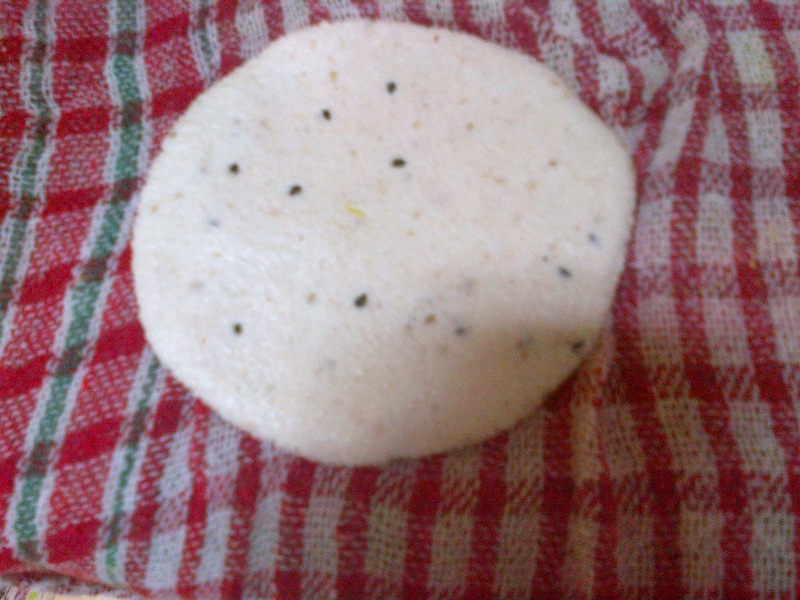 You can do this with a chappathi press also. It should not be too thin. You can see the picture. Heat oil in a pan, remove the pathiri carefully and put into hot oil. After sometimes it will float on top and puff up. If it doesn't puff up, just slowly tap the pathal at the edges with the spoon until it puffs up. Flip it over and fry both sides until golden brown color. Place it in a paper napkin to remove excess oil. Note :- Instead of hanging the ground mixture you can lay several layers of news paper or towels ( thick cloth ) and pour the batter in this cloth until it absorb all the moisture from the ground mixture and you get a soft rice dough that you can form into a ball. 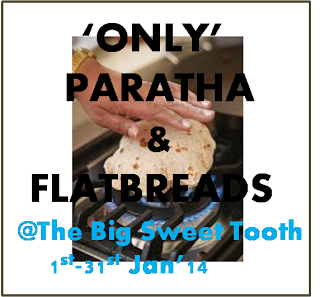 This Recipe is part of the event "Flat Breads and Parathas" By Pari and this event hosted by Rafeeda. Never heard of that, must be a Malabar treat...interesting. BTW thanks for the Liebster. I already got that a bit ago. Anyways Congrats on yours!!! I remember one of my friends teaching us how to make pathal using a heavy bottom pot to get even shape as we did not have chapathi press. U have made it so well looks really yumm..
thats a lovely snack, irresistible ! !